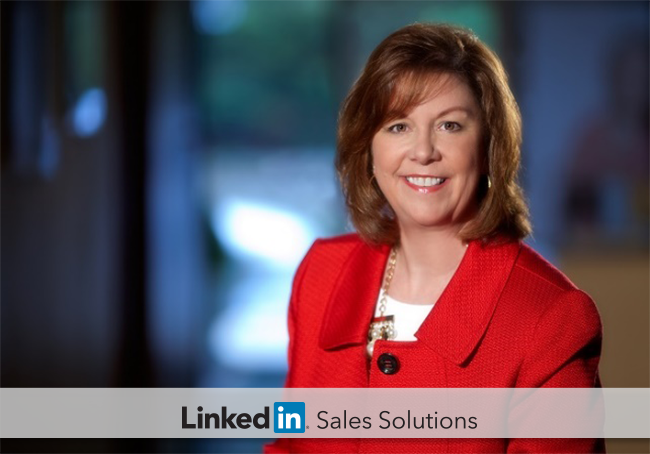 Learn how to decrease response times and increase efficiency in your sales processes in this Q&A with social selling advisor, speaker, and author Barb Giamanco. We are kicking off a new series of “Ask the Expert” blog posts, featuring interviews with social selling thought leaders and influencers. In the series, we will ask these proven sales professionals for practical advice you can use to reap more results from your day-to-day sales efforts. For our first Q&A, we’re pleased to feature Barb Giamanco. 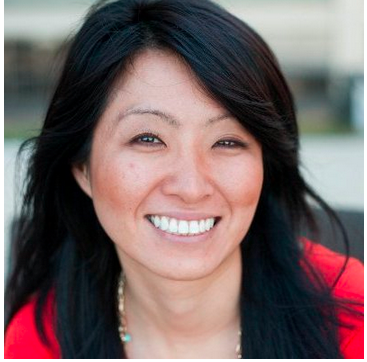 She is the President of Social Centered Selling LLC, a sales training organization that has trained more than 30,000 sales professionals to maximize their social selling effectiveness. Giamanco is also a sought-after public speaker and the co-author of The New Handshake: Sales Meets Social Media, one of the first books written on how social media and social networking applies to selling. Her transformative work led Top Sales World to name her a Top 50 Sales Influencer in 2014 and 2015. Barbara joined us to talk about techniques salespeople can use to “work smarter, faster.” Read on for advice on following up faster with prospects, working in the moment, and making your sales processes more efficient. What prevents a timely response, and how can salespeople do better? Slow response time usually comes from not being prepared to answer questions for customers in real-time. That means the salesperson has to go find the answers and then follow up with the buyer. That burns time. Before every sales meeting, sellers should do enough homework on the prospective company and buyer to anticipate and write down questions that are likely to come up. Given that we live in a digital age, sellers should also know exactly where to find answers and source them through their mobile device during the sales call or meeting. Salespeople should also block specific calendar time to complete follow up items. The follow up is the most critical aspect of selling and you have to do it more quickly than your competitors. Think hours, not days, to get back to people! For sales pros who may be hesitant to work faster because they feel unprepared, what tips do you recommend that will allow them to work faster with confidence? Always be learning is the first place to start, but with that being said, you can never know everything. Throughout my career I made it my business to tap into resources that would give me answers quickly. With mobile devices you can do that by searching the internet in nanoseconds. When it comes to knowing your own company, study. Figure out where the primary answers to questions reside, know your internal processes. For example, how far are you allowed to go in negotiating price or terms? If you sell a software service, what specifically does the buyer need to know about ramp up time? All this gets back to my earlier point about responding quickly. What can sales leaders do to better allow their teams to "work in the moment"? Shift the focus from measuring activity for activity’s sake and measure activities that lead to specific, measurable outcomes. Stop insisting people make 200 phone calls, send 500 emails and do X number of demos in a week. If the end goal is securing sales meetings and closing deals, the quality of the activity is more important than the activity itself. Give salespeople the latitude to research people before engaging with them, crafting a sales message or preparing for a sales meeting. Poor planning results in poor performance. If you force salespeople to move from one activity to the next, you actually slow down your ability to build a strong pipeline of opportunities that can lead to closed deals. How does social selling help sales professionals “work smarter, faster”? It begins with having a clear strategy for what you want to accomplish, what tools you’ll use, what your core value message is, and what you will measure and track. Using social selling, you can quickly build your network and nurture relationships. Follow your prospects, learn about them. Figure out what content they consume and share. Who are they connected with that you should know? Do they publish LinkedIn posts? Follow them. Share their content and comment on their posts. This creates opportunities for you to engage with people on their turf. Create LinkedIn search lists that dynamically update week to week when new people matching your search criteria connect via your network and through groups that you participate in. Use tools like Hootsuite to manage, monitor and organize the information you need to watch across channels. And, always remember that using social channels is NOT a short-cut to good selling practices. Technology only enables a great selling process and approach. We’d like to thank Barb Giamanco for sharing her social selling expertise with us. As a busy sales professional, you can maximize your effectiveness by working smarter and faster instead of harder. Using the tools and technology at your disposal, you can connect more quickly with prospects, be more prepared to make connections, and streamline and automate your social listening and sharing. Download our eBook, Social Selling Tips from Leading Social Selling Thought Leaders, for more social selling advice, tips, and strategies from the experts.